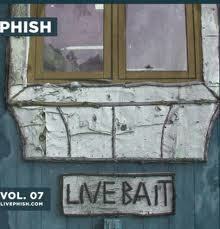 LivePhish.com has released another incredible free album download on thier website this morning; this is the third installment of the Live Bait series (Live Bait. Vol.3). Last week I made HiFi readers aware that Volume 2 was available for download and then voila! Another installment for the greedy masses looking for some fresh Phish to satisfy their auditory appetite. The songs featured are from shows in 1991, 1993, and 1997. All songs featured on this release, are from Worcester, MA shows, 4 of them from the Worcester Centrum and the 91′ show from the Worcester Memorial Auditorium. 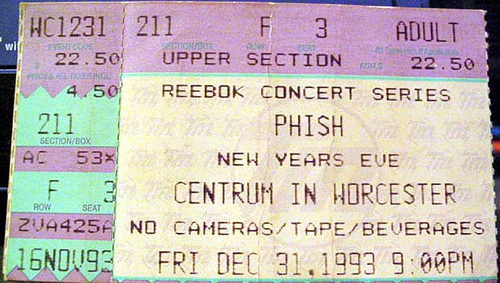 I was lucky to find an image of a ticket on Google from the 12/31/93 show for this entry, since 3 of the songs are from that very night, cool. If you have not had a chance to check out LivePhish.com it is well worth the click; although this album is free and a few others are as well, for the diehard Phish fan looking for a specific concert and year the archives is rather substantial and you can find your exact show for a small fee depending on what format you choose to order (digital download or CD). I was in Boston this past Thanksgiving weekend and stopped by my favorite music store (Newbury Comics); I was surprised with the assortment of LivePhish concert CD’s that were available, however I think it is far more economical to simply pay $12.00 for a digital download than $17.99 for a store bought CD. Check out LivePhish.com and get your free download today and let us know what you think. And the free Phish just don’t stop…. 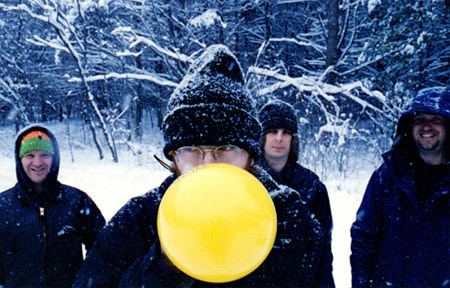 Yes, I’m on a bit of Phish tear here at HiFi Central this past week (god, it’s become far too addictive than I realized) and I’ve really spent too many hours catching up with this band and the music they have created. I’m not sure what the reason was for my disdian for the band and it’s music, clearly more ignorance rather than solid reasoning. For years I assumed they were simply a wanna-be-Greatful Dead covery act thing, but after learning (and listening) to a combination of albums and live shows, I’m incredible hooked and impressed. It would appear that LivePhish.com offers a larger assortment of live shows and perhaps better quality as well. 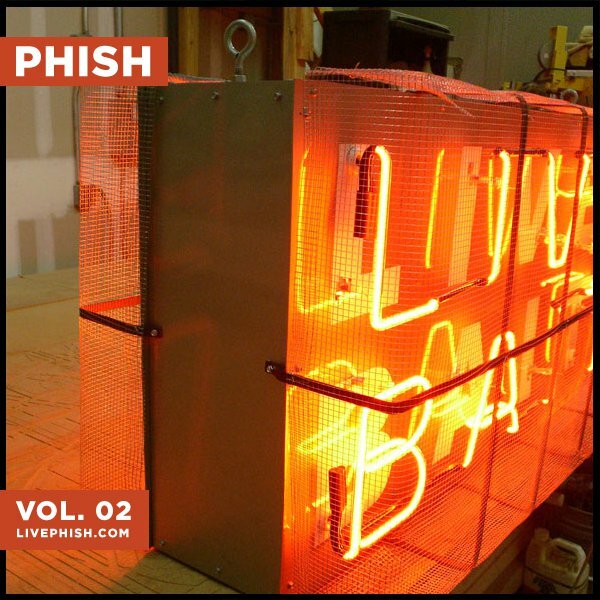 There are past shows for sale, including the recent Halloween show; however, there is a nice FREE album download called Phish: Live Bait Vol.2 that is well worth the taking if you do not have it already. The download was very easy and straight forward; simply create an account in about 3 minutes and viola! The tracks are from shows in Berkely, CA, Alpine Valley, WI, and Wantaugh, NY, and Noblesville, IN this past August; the sound quality is right on and crystal clear for the most part. Check out this great website if you do not know about it already and happy downloading.